Alzheimer’s disease is extraordinarily prevalent in the U.S., affecting more than 5 million Americans, according to the Alzheimer’s Association. To find a solution to this epidemic, the medical community has been searching for factors that lead to the condition for decades. To this day, the disease remains incurable; however, scientists have just made a discovery that could help detect and, in turn, fight early onset of this form of dementia. 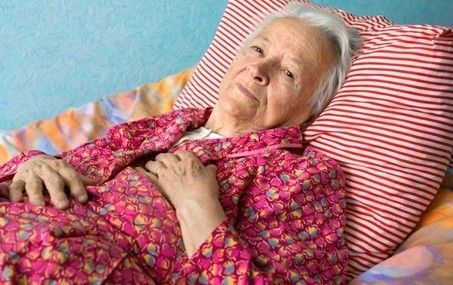 In December 2014, researchers from the University of Wisconsin-Madison presented a study at the American College of Neuropsychopharmacology meeting in Arizona, reporting that sleep disturbances may be an early sign of Alzheimer’s. For the study, the scientists conducted positron emission tomography scans on 98 volunteers ages 50 to 73 with healthy cognitive function. These PET scans utilized a tracer that visualizes amyloid deposits, proteins that are present in higher amounts among people with Alzheimer’s. The researchers compared the PET results with questionnaires completed by the participants, who revealed information about their sleep patterns and problems. Those who reported having more sleep issues and less restful slumber at night had greater amounts of amyloid accumulated in the supramarginal and frontal medial orbital areas of the cerebral cortex. This accumulation is highly linked to Alzheimer’s disease. What does this mean for people with Alzheimer’s? With this information in hand, doctors may be able to spot patients who are at a greater risk of this form of dementia. These patients may then take steps to reduce the onset of the disease, such as maintaining a healthy diet and exercising the brain to maintain cognitive function. It may be tempting to deduce that, by improving their sleep schedules, seniors might stave off the onset of the debilitating disease. However, the study is not definitive proof that altering one’s sleep will reduce the risk of Alzheimer’s, as Dr. Ruth Benca, lead investigator and professor in the Departments of Psychology and Psychiatry at the University of Wisconsin- Madison, stated during the meeting. “We still need to determine whether sleep disturbance promotes amyloid deposition in the brain, or if a neurodegenerative process produces disordered sleep,” Benca said. The researchers noted a need for further, more extensive studies to evaluate the effectiveness of interventions to improve sleep patterns to prevent changes in the brain linked to Alzheimer’s.